Charizma is a Sassoon Professional Partner Salon, which guarantees a prestigious service, as well as offering the latest Sassoon Collections in both cut and colour. 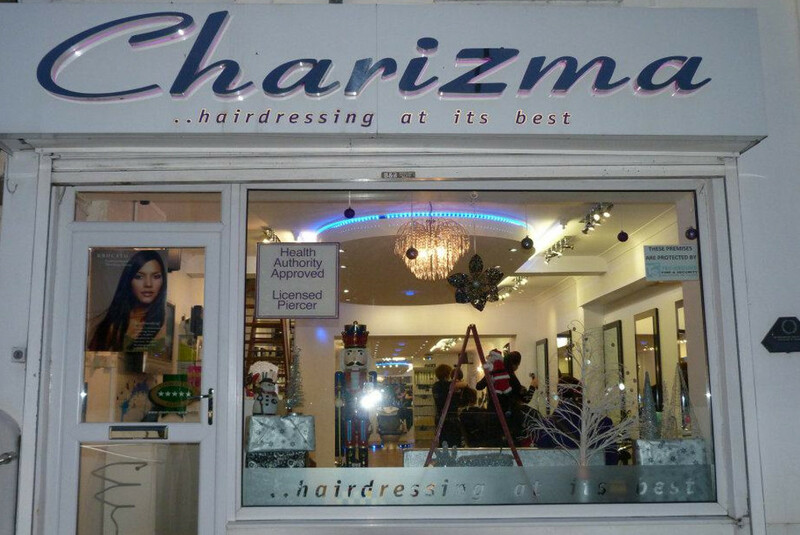 Charizma owner, Helen Button, was born into a hairdressing family - with scissors in her hand! Having worked in one of Birmingham’s top salons, which also had over 400 salons across the US styling many celebrities hair, Helen has worked alongside some of the best creative directors, gaining a tremendous amount of experience and training. After working for them for a year, Helen was head-hunted by another prestigious company, who again provided services for many celebrities, and also ran the hair franchise on the QE2. Two years later Helen made the decision to use her talent and experience to open Charizma and bring a touch of glamour and inner city chic to South Wales. Charizma is a Five Star salon and is proud to be approved by the Master Craftsman Award. Helen’s staff work as an enthusiastic team who have trained on courses by Trevor Sorbie, Charles Worthington and Patrick Cameron among others, ensuring they are constantly updating their skills with the latest techniques, styles and trends. I've been going for the last 10 years or more and, although my old hair is not much of a challenge, Helen and the team have always been both professional and friendly. Thank you to all at Charizma Pontyclun very professional service and a great ombre!! Will definitely be returning! Very professional, friendly, hair salon. I have been virtually every colour and cut available and have never been disappointed. Lovely friendly staff, all the family are taken care of by Helen and her team. Helen is an excellent hairdresser and the salon and assistants are always friendly and professional. I certify that this review is based on my personal experience of Charizma Hair Design LTD and is my opinion. I have no business or personal link with Charizma Hair Design LTD and have not been offered payment to write this review. By providing these comments you give Good Salon Guide permission to review and publish this information. Good Salon Guide reserve the right to edit comments for length, spelling or clarity where appropriate. As part of this appointment request Good Salon Guide will record your name, email address, telephone number and appointment details. This information will be passed to Charizma Hair Design LTD by email, through the Good Salon Guide app and over the telephone. This data will not be shared with any other companies and we will manage your data in line with your preferences below.